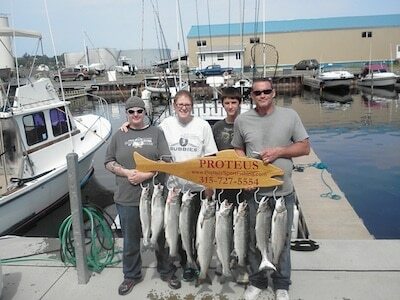 From mid April thru mid October, you can book a trip on the Proteus. Bring your family or friends and enjoy a safe, fun day on the water. 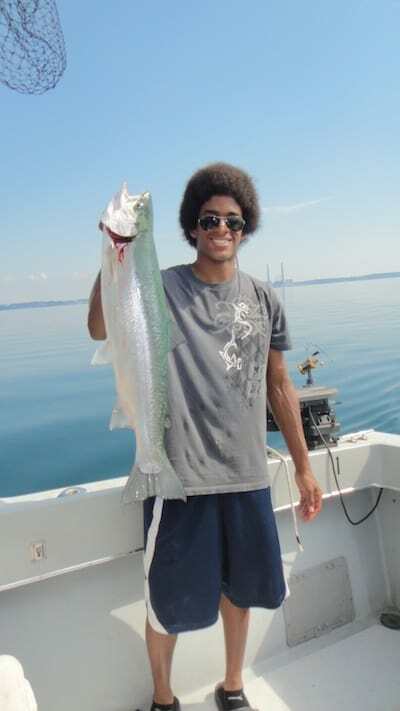 With more than 25 years of chartering fishing trips on Lake Ontario, Captain Mike Conroy will use his expertise to get you where the fish are. We sail out of the Oswego harbor. Click on the “Oswego Harbor Web Cam” link below to see the harbor and waterway to the lake. 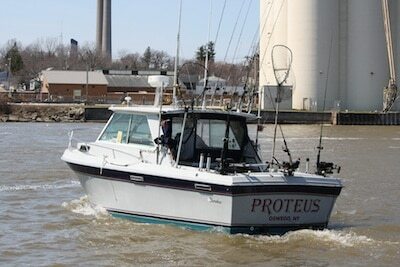 The Proteus is in the water! 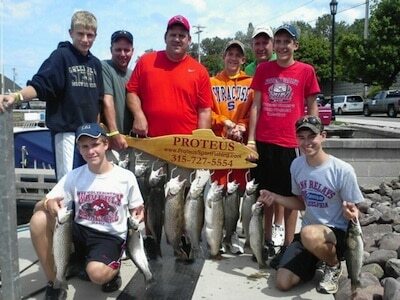 The spring Brown Trout is here! Don’t miss out on the action! 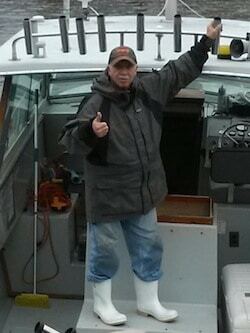 Captain Mike is booking trips. Call or email for availability. 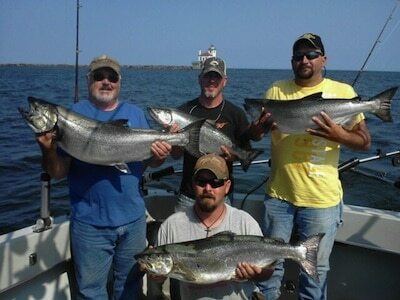 Check out a few of our 2012 catches!